26° N 80° W, newsletter of the University of Miami's Dorothy H. and Lewis Rosenstiel School of Marine and Atmospheric Science. The first issue of this newsletter was published in January 1970. Final issue published in 1980s. 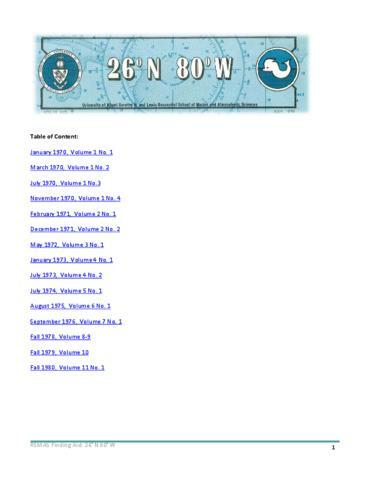 The name of this newsletter, 26° N 80° W gives the position of Virginia Key, Florida and the campus of the University of Miami's Rosenstiel School of Marine and Atmospheric Science is located.